The Illustrator Showcase is Coming Soon! During the Illustrator Showcase we make sure that publishers have every opportunity to view your portfolio, collect your postcards and business cards and revisit your work on the Showcase website. Publishers take away sheets filled with memos and fistfuls of business cards, so that's got to be good! Postcards—The feedback from the last Showcase was that the publishers liked to have postcards to take away. Many publishers commented that they liked postcards that had a selection of images available— they were useful aids for remembering a specific image from the portfolio that excited them. Website—If you don’t already have one then get one! Remember, you must be seen to be hired and a website is ideal for illustrators to showcase their work. 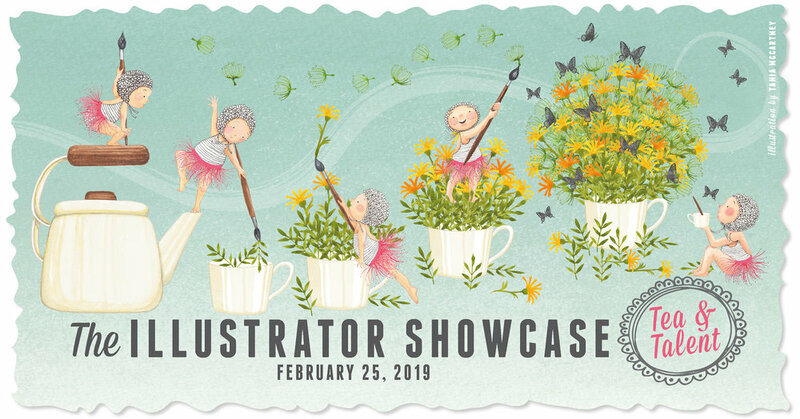 The Illustrator Showcase is an excellent opportunity to get your website details directly into the hands of commissioning art directors, publishers and agents. The website represents you on a job interview. Make it professional and personal.